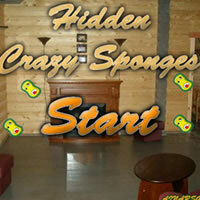 Hidden – Crazy Sponges – another new point and click escape the room/hidden object game developed by Ainars. take a look around, examine all locations and find 30 hidden Crazy sponges to complete this game and escape. Good Luck!